Read more of the apartments we offer, see photos and learn about facilities and prices. We are located ideally a few meters from the sea in Nikiti, a very comfortable base if you want to explore Sithonia beaches and the rest of Halkidiki. To make a reservation or ask for availability, you may contact us. 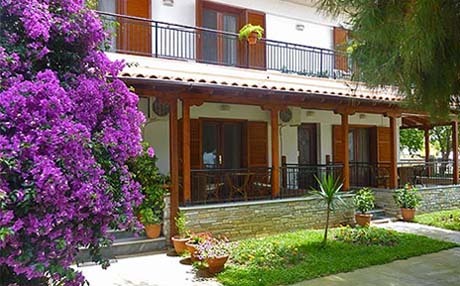 Are you looking for accommodation in Sithonia, Chalkidiki?…then stay with us! 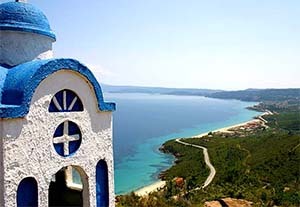 Halkidiki, a peninsula mainly famous for its sandy beaches, is a popular tourist destination in northern Greece. 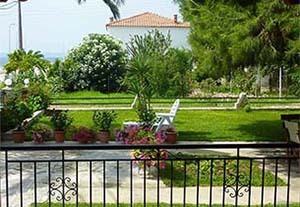 Hatzis House is ideally situated in Nikiti Sithonia, just 90km from Thessaloniki and comfortably close to almost every other place of interest in the area. 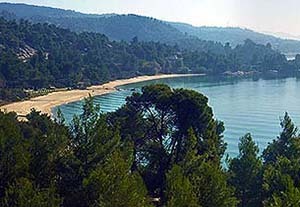 Nikiti is the main resort in Sithonia which is the middle of the three “legs” of Halkidiki. We offer spacious, independent apartments for your holidays in Halkidiki. Browse our site and learn about our apartments, our services and the area. 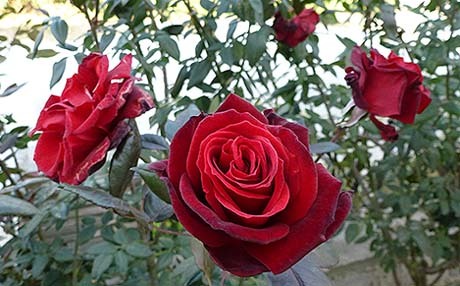 We offer spacious and well equipped apartments in our house which is surrounded by a beautiful garden. We have a spacious garden dominated by a large pine tree that offers its shadow to our visitors. We may offer you accommodation in comfortable, independent apartments suitable for two up to five persons. Browse our collection of photos featuring interior and exterior Hatzis House views as well as some of the most beautiful places to visit around Nikiti. Photos of wonderful beaches and other places you should visit in Nikiti. Interior views of Hatzis House apartments and facilities. Exterior views of Hatzis House and the beautiful garden around it. 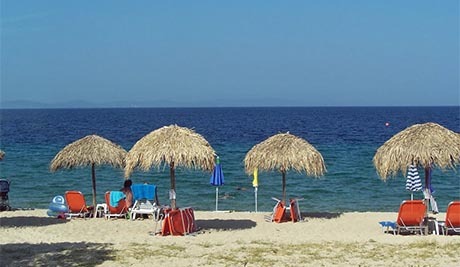 We are located just a few meters from the beach of Nikiti, at the beggining of the Sithonia peninsula in Chalkidiki. The sea is just 50m from the house while its location offers easy access to restaurants, shops,cafeterias & other places of interest. Learn about Halkidiki, the history of the place and its people. Have a look of the best beaches around Nikiti. 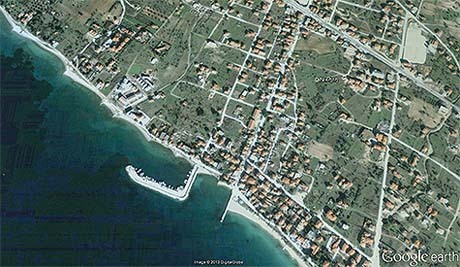 Nikiti is one of the oldest towns in Halkidiki. The history of its traditional settlement dates back to the 14th century AD. 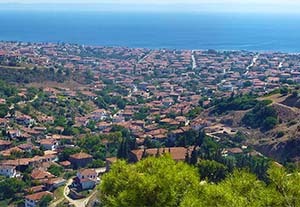 Herodotus, in his history of the Persian wars, mentions the city of Galipsos which probably was located close to Castri cape about 2.5 km from Nikiti. Sithonia is a destination of growing popularity. 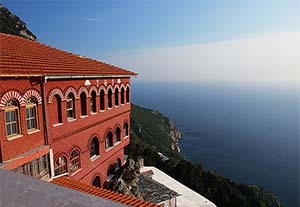 It may not have the cosmopolitan character of the opposite peninsula of Kassandra, however it does offers numerous opportunities for outdoor activities and entertainment. The natural landscape and the fertile land had always attracted visitors: from ancient Athenians to Byzantine monks and from Roman settlers to modern European tourists.